NECA’s first Safety Forum at convention yesterday brought together a dedicated group of safety professionals from both high voltage and inside electrical contractors. Westex was a key supporter in bringing safety to the forefront of education programs at NECA 2012 Las Vegas. In addition to the Safety Forum, management seminars and technical workshops on safety are scheduled throughout the event. Mike Johnston, NECA executive directors, standards and safety, was gratified by the discussions at the forum, “Shifting a safety culture in the electrical industry requires education, communication, and cooperation, as well as a thorough understanding of the specific hazards involved and how to avoid them – that’s the goal of “safety through design,” he said. Another valuable aspect of this conference was the focus not only on what safety rules require, but how to effectively implement them. NECA Vice President George Adams has made safety a core value of his company by frequently asking, “is this the best we can do?” Adams challenges the notion that “productivity is king,” believing productivity, quality and safety have equal value. He wrote about his experiences in a recent column published by the Oregon Daily Journal of Commerce. What’s On the Safety Forum Schedule? 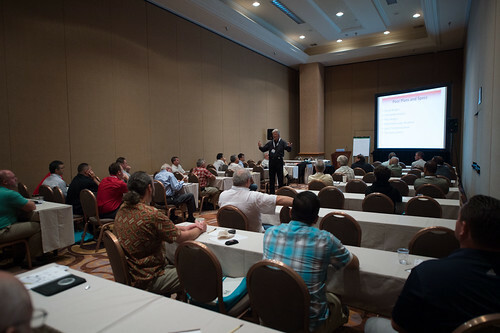 The best value in safety education is the new Safety Forum at NECA 2012 Las Vegas. This special two-day workshop for inside and line contractors starts Saturday, Sept. 28 with a breakfast discussion about preventing arc flash hazards from Westex. Following the discussion are separate breakout sessions for inside and line contractors. View the tracks and session descriptions online. Line contractors who need to earn their ET&D OSHA 10 Course can also get their training in Friday, Sept. 28-Saturday, Sept. 29. 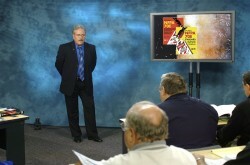 This course is a separate registration fee from the Safety Forum. The Safety Forum will wrap up with the Safety Roundtable, Sunday, Sept. 30 at 1 p.m. following the Opening General Session and lunch. The Safety Forum focuses on how rapid changes in the electrical industry are requiring electrical contractors to be on the leading edge of many safety and health requirements. Clients now demand evidence of effective safety performance and the integration of safety and health management systems to jobsite safety. Safety and health has evolved from a regulatory drive activity to and business development tool.